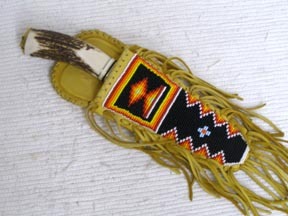 These beautiful beaded knife sheaths are created by Algonquin Indians using Lakota designs. 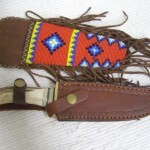 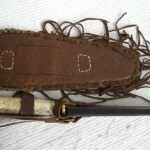 They are beaded onto soft leather and lined with holster leather and hand stitched. 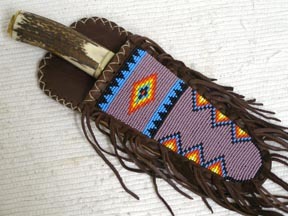 This flat beaded sheath is 9.25″ long and hangs from a belt loop. 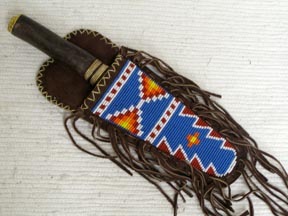 The fringe hangs 3.5″ around the beadwork. 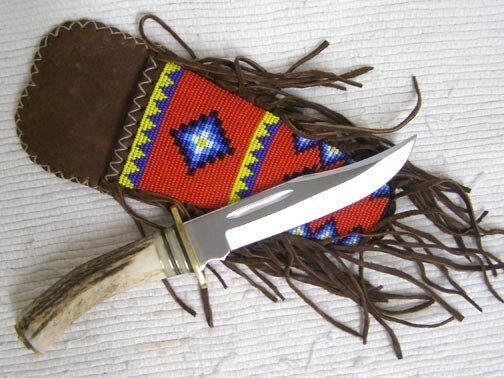 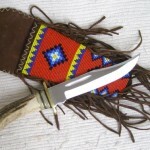 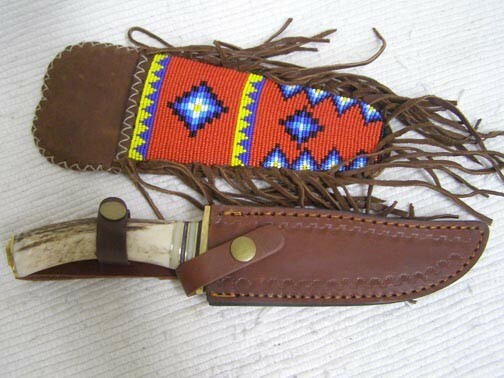 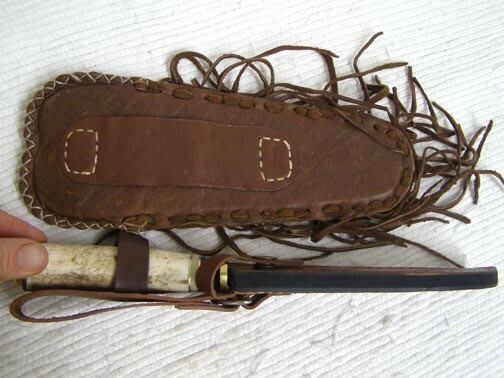 This beautiful piece comes with an antler and steel knife and a modern leather utilitarian sheath that can be worn on a belt.